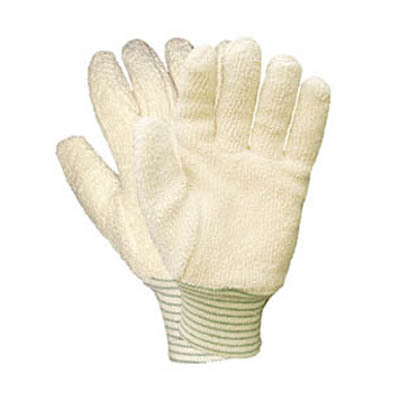 Cut and Sewn Heavyweight Terrycloth Gloves - Large This heavyweight white terrycloth knitwrist glove. 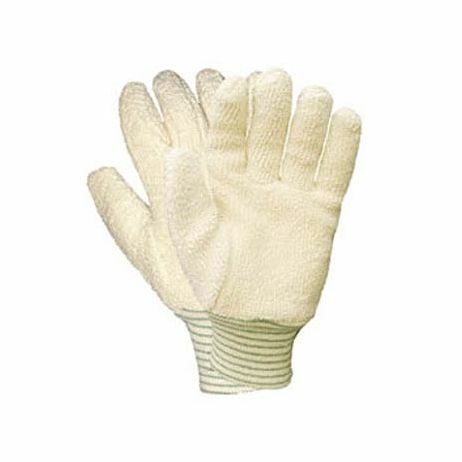 Protects to 250Ëš F. Large size glove is pre-shrunk. Superior cut and abrasion resistance. Ambidextrous. Sold per dozen .